For a first collage lesson, I had our kinders create a house using three colors and basic shapes. 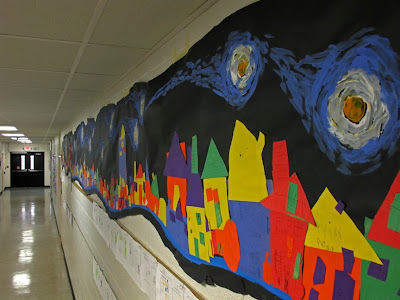 At the end of the week, I collected all the houses - some big, some tiny - glued them to a 40 foot long piece of black bulletin board paper and turned the whole scene into a "Starry Night Neighborhood" with some quick painting with acrylics. Although this wasn't meant to be a Halloween-themed project, a lot of the students were inspired by the time of the year to put jack-o-lanterns in front of their houses! 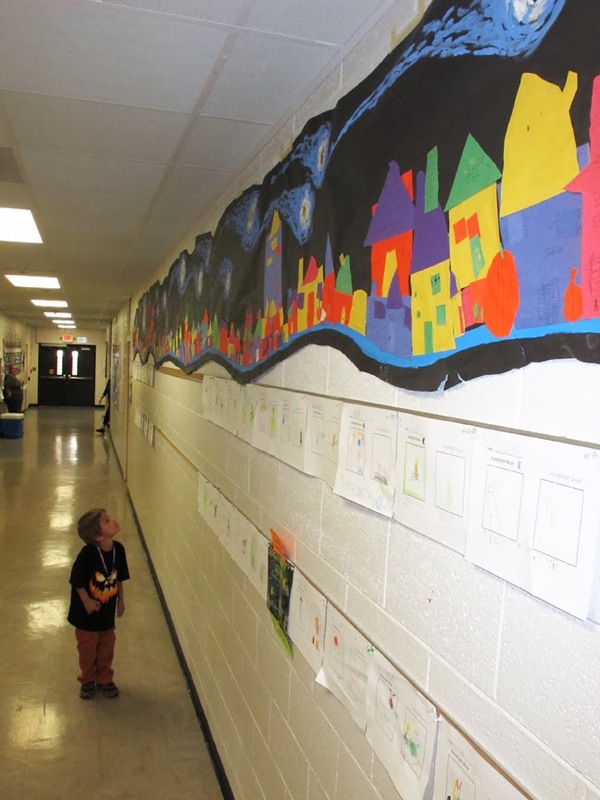 You can see the finished product hung in the hallway of the K-1 building.